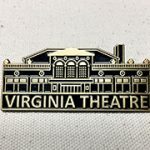 Now you really can wear your love for the Virginia on your sleeve (or your lapel) with this set of 4 Virginia Theatre buttons! Each button is 1.5 inches and has a unique design, like an illustration of our famous mezzanine lobby’s gorgeous honeycomb ceiling. Whether you wear them individually or all at once, you’re sure to receive compliments! 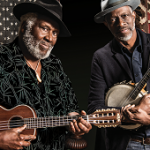 All Virginia Theatre merchandise items are available for purchase at the box office as well as online. We are happy to ship any item(s) via the U.S. Post Office for an additional fee of $3.25.